Dietrich Bonheffer gives one of his secrets behind the powerful witness of his own life. He had learned to pray the Psalms and from them drew on the power of God in his years of imprisonment. In a brief biographical sketch, Eberhard Bethge, friend and biographer of the author, helps us understand the man who used the Psalms as his prayer book. Psalms: The Prayer Book of the Bible by Dietrich Bonhoeffer was published by Augsburg Fortress Publishers in January 1959 and is our 3747th best seller. 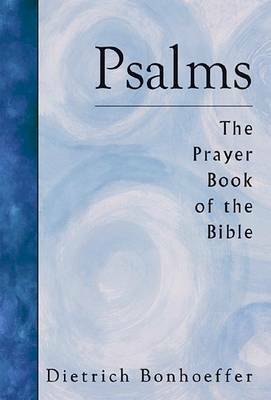 The ISBN for Psalms: The Prayer Book of the Bible is 9780806614397. Be the first to review Psalms: The Prayer Book of the Bible! Got a question? No problem! Just click here to ask us about Psalms: The Prayer Book of the Bible.